As part of the AAG 2015 conference, Bandana Kar, Rina Ghose, Renee Sieber and I organised a set of sessions on Public Participation GIS – you can read the summary here. 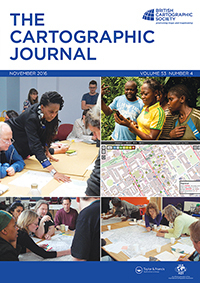 After the conference, we’ve organised a special issue of the Cartographic Journal (thanks to Alex Kent, the journal editor) dedicated to current perspectives of public participation GIS (PPGIS) and participatory GIS (PGIS). The process of organising a special issue is quite involved – not all the papers that start the journey managed to finish, and even at the last point, 2 papers that are part of the special issue will appear in the next issue of the journal due to physical limitations and the number of pages that appear in each issue! The paper is available here and if you don’t have access to the journal, email me and I’ll send you a copy. I really need to re-blog this post, not only because I have a paper in the special issue, but also, because I am really happy, that the Cartographic Journal published such a special issue! If you want mine or any other paper, please let me know!